CYCLED! 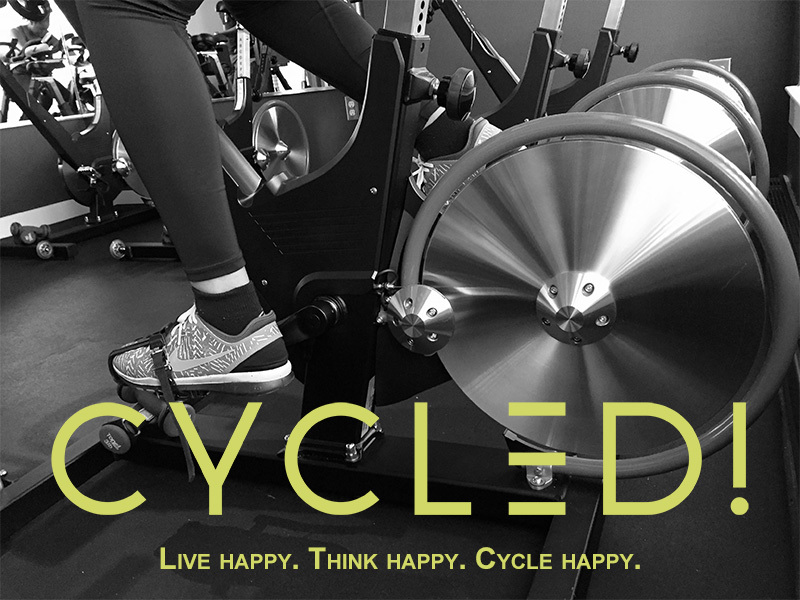 is a boutique, indoor cycling studio located in downtown Silver Spring, MD. At CYCLED!, we ride to the invigorating beats of the latest pop, hip hop, reggae, and house music. Each class offers a fat-blasting, full-body workout through forty-five minutes of intense cardio and the use of hand weights. The upscale boutique provides personalized experiences that motivate and empower all riders on their journeys to live happy, think happy and cycle happy! CYCLED! does more than change bodies, it creates a community of riders that aspire to change their lives.